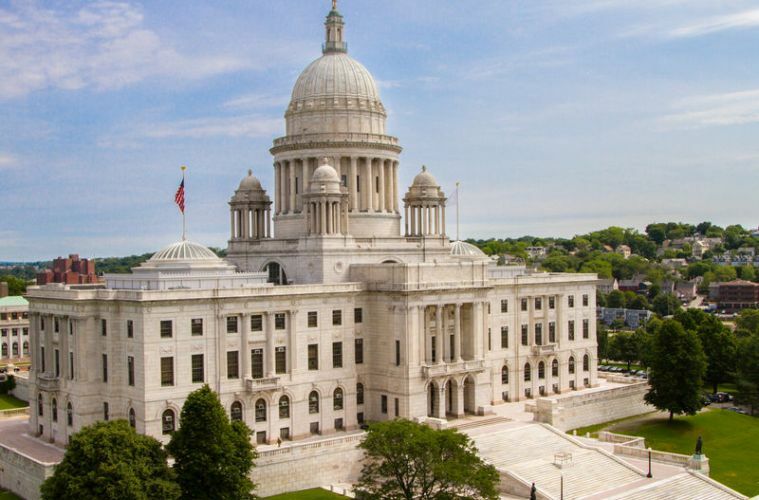 “To better inform District 13 voters about the Senate candidates’ positions on gambling in RI, we are pleased to share the results of our survey. We appreciate the three candidates who took the time to respond to questions about this important local and statewide issue. We are pleased these three representatives understand the importance of eliminating gambling facilities in District 13 and curtailing our state’s risky dependency on unsustainable gambling revenues with growing competition. *A special election for the position of Rhode Island State Senate District 13 has been called for August 22, 2017. The seat became vacant on March 31, 2017, when M. Teresa Paiva Weed (D) resigned after accepting the position of president at the Hospital Association of Rhode Island. Dawn Euer defeated David Joseph Allard, David Hanos Jr., and John Florez in the Democratic primary. Michael Smith ran unopposed in the Republican primary. Gregory Larson is running as a Green Party candidate. Kimberly Ripoli is running as an independent candidate. Euer, Smith, Larson, and Ripoli are facing off in the August 22 special election. 1. Do you pledge to oppose any efforts to rebuild or expand gambling operations at Newport Grand if the Tiverton casino is unexpectedly delayed and/or canceled? 2. Once the Tiverton casino has opened, do you pledge to oppose any future efforts to continue, extend or expand any gambling operations in District 13? 3. Do you pledge to fight any proposal to amend the Rhode Island Constitution to remove the right of voters in a municipality to prevent the introduction of new forms of gambling in their community? 4. Despite assurances to voters, the law caps the number of casinos, both MA and CT lawmakers requested additional casinos within two years. Do you support permanently limiting the number of gambling facilities? 5. RI’s reliance on gambling grows riskier as competition in CT and MA increases. As RI’s third largest source of revenue, would you support capping our reliance on gambling revenues to current 2017 levels, with excess revenue directed to pay down state debt and/or support gambling addiction services? Citizens Concerned About Casino Gambling is a Newport non-profit dedicated to stopping the establishment and expansion of gambling in the city. Established in 1977, CCACG has a long history of success fighting gambling in Newport, including the 1980 attempt to turn Newport’s Goat Island into “Monte Carlo”, and to expand gaming at Newport Grand in 2014 and 2016. This entry was posted in Uncategorized and tagged Casino, newport, Providence, Rhode Island, Rhode Island senate, Twin River Casino by ChipLeakas. Bookmark the permalink.